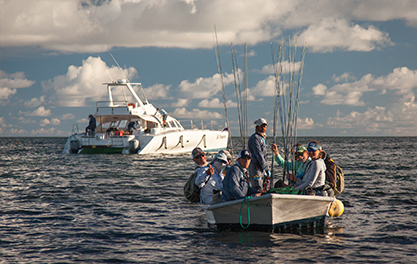 Once again a full complement of 12 anglers joined us on the flats this week. Some returning guests and some first timers. All of whom were looking forward to seeing what the pristine tropical flats of St Francois atoll have to offer. 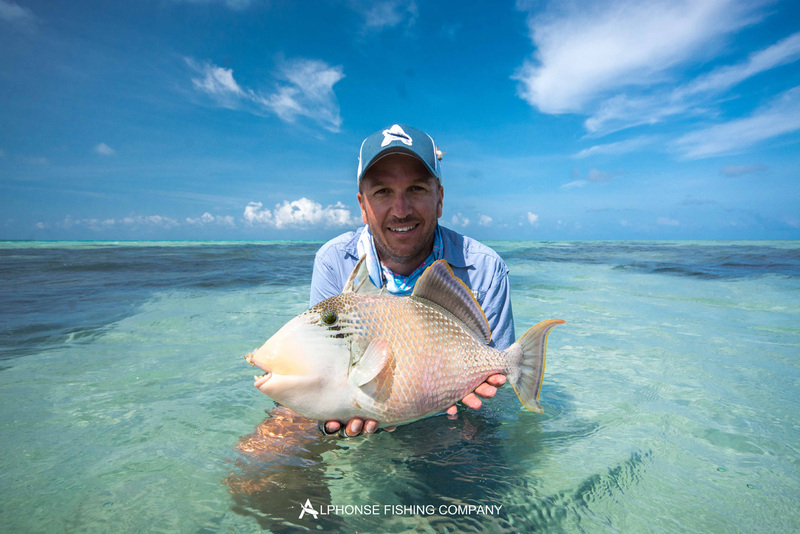 Unfortunately the week started with some bad weather and on day one the anglers were restricted to fishing around Alphonse Island. 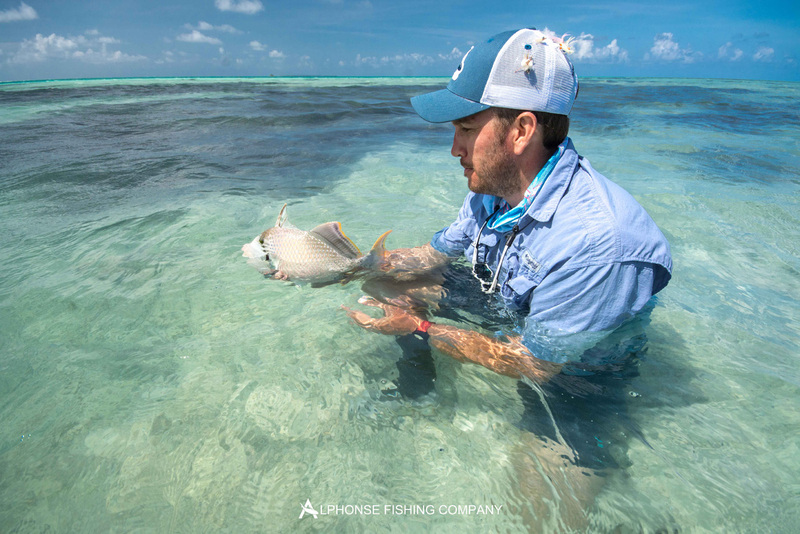 This isn’t always a bad thing and with a good neap dropping tide there where many awesome single skinny-water Bonefish to be had. Even in the difficult casting conditions most of the guests got to bend the rod and get a small taste of what was up for offer this week. The most noteworthy event this week was the return of the Milkfish. This season has been a Milkfish enigma, with very few fish regularly feeding on the surface. However this week was different. 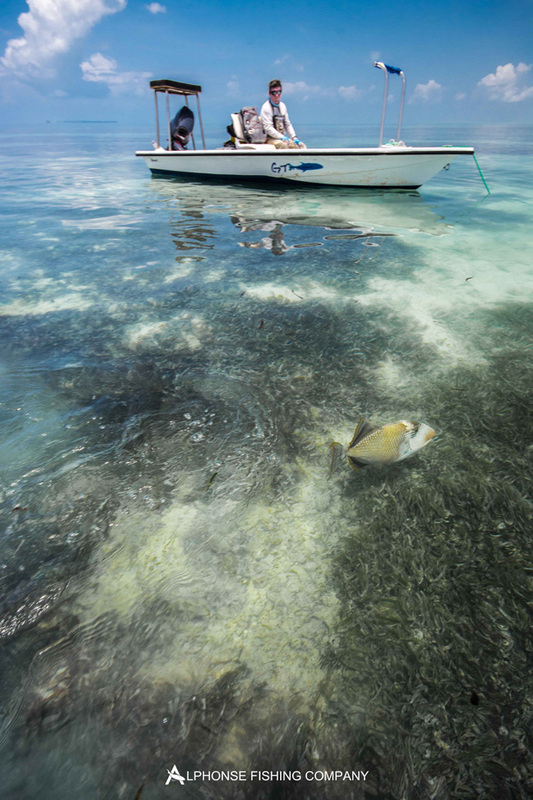 On the crossing coming into St Francois atoll we all noticed the white rimmed mouths of fish slurping up copious amounts of plankton on the surface. As the weather conditions improved over the following days it became very conducive to fishing for them. 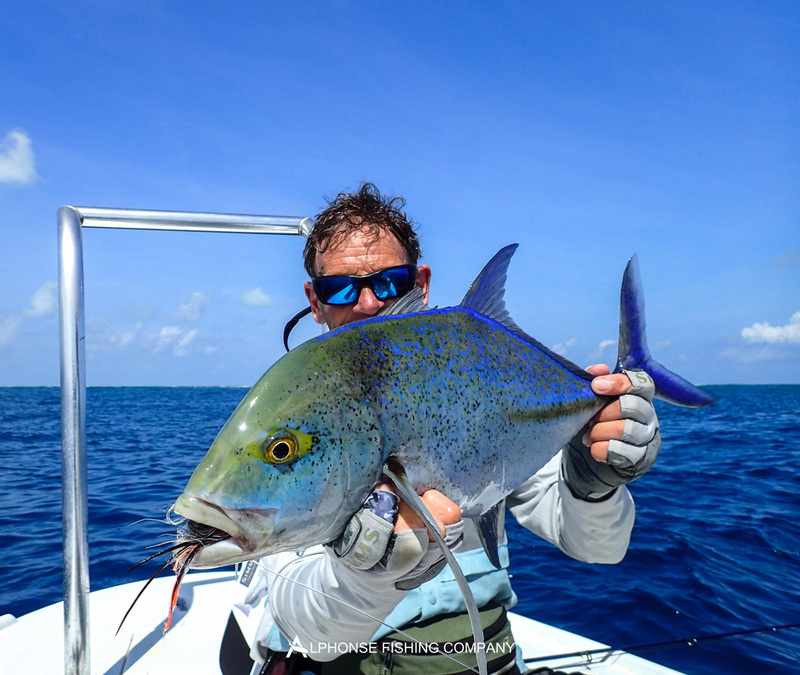 As well as the Milkfish the amazing cold water neap tides that occurred this week were great for triggerfish. These guys were unbelievably happy and it turned out to be the best trigger fishing week of the season so far. 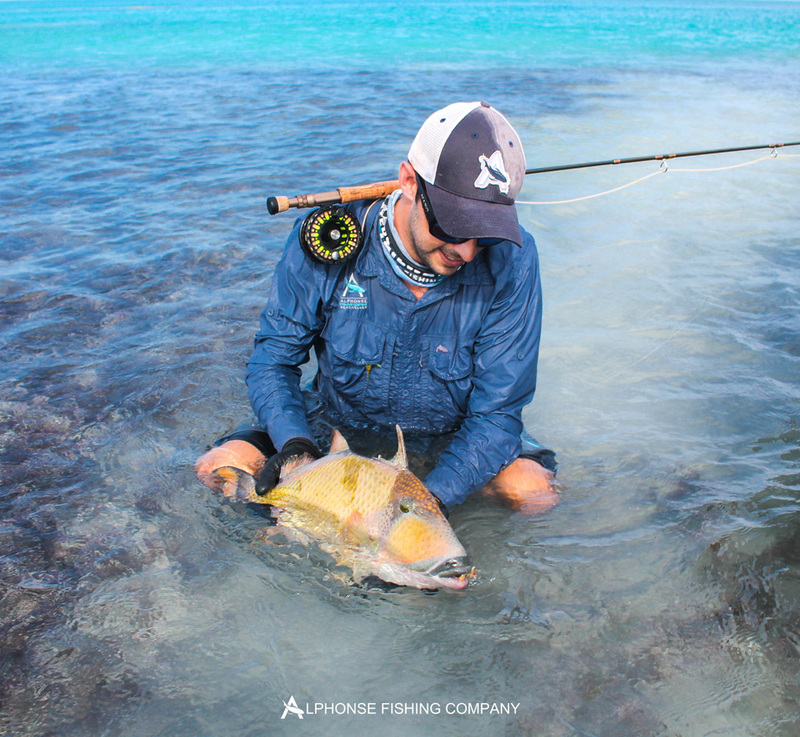 Rod Thorington spent the hours trying to get his hands on one of Alphonse Island’s famous Triggerfish badges and this kept him busy for a few days. However, when the tide turned and he got his first beautiful Yellow-margin to hand he went on to catch a GT and claim a ‘Flats Slam’. 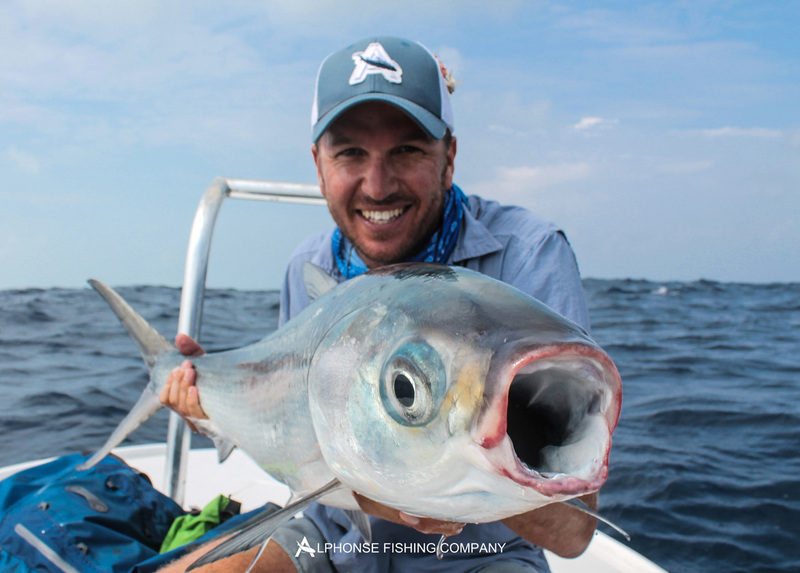 The following day Rod followed up with a Moustache triggerfish and then finally joined the elite Milkfish club on the last day. 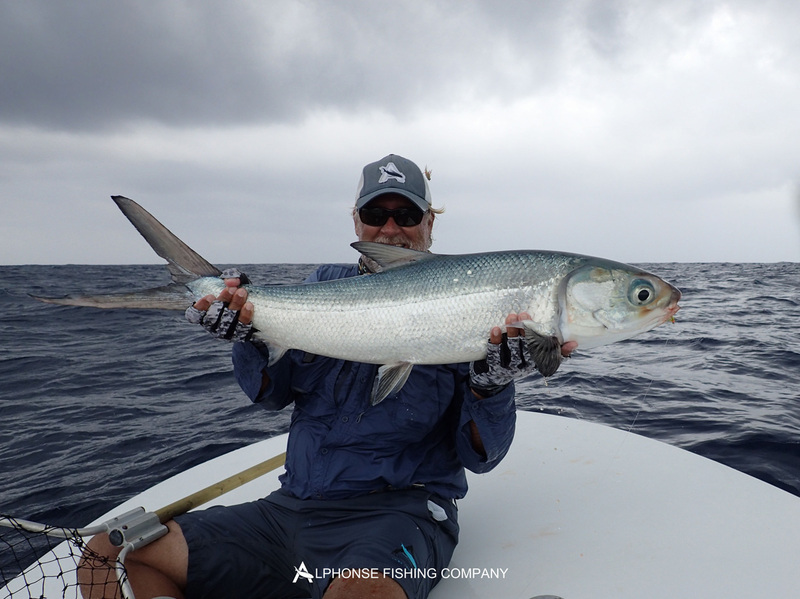 Paul Davidson a returning guest for over 16 years managed to get his hands on his first ever Milkfish also on the last day of the trip, this is a well-deserved fish and so special congratulations to Paul from all the Alphonse team. In addition to this he managed two gorgeous triggerfish, one Moustache and one Yellow-margin. The guys from Black Fly Eyes were out here doing some fishing and filming. 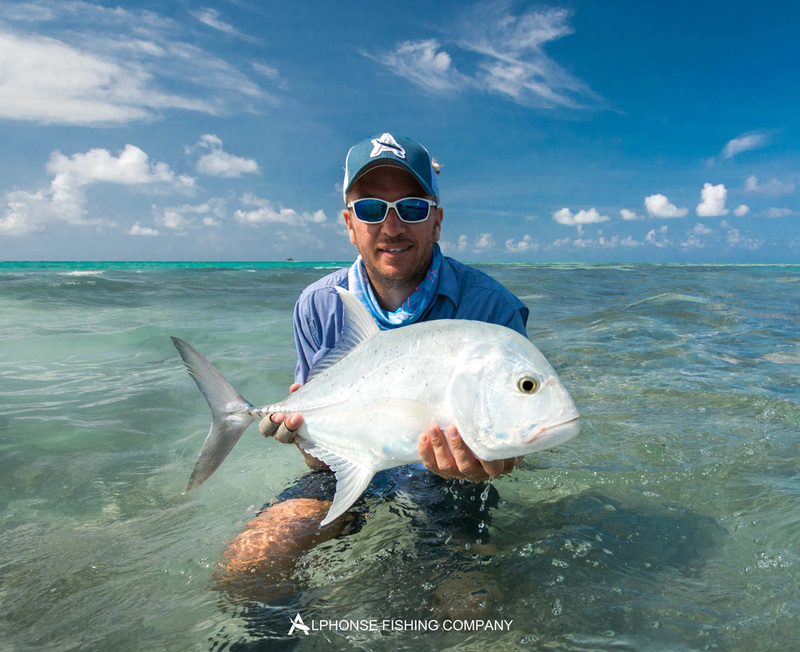 Nerijus kicked off the week with a gorgeous Indo-Pacific Permit. 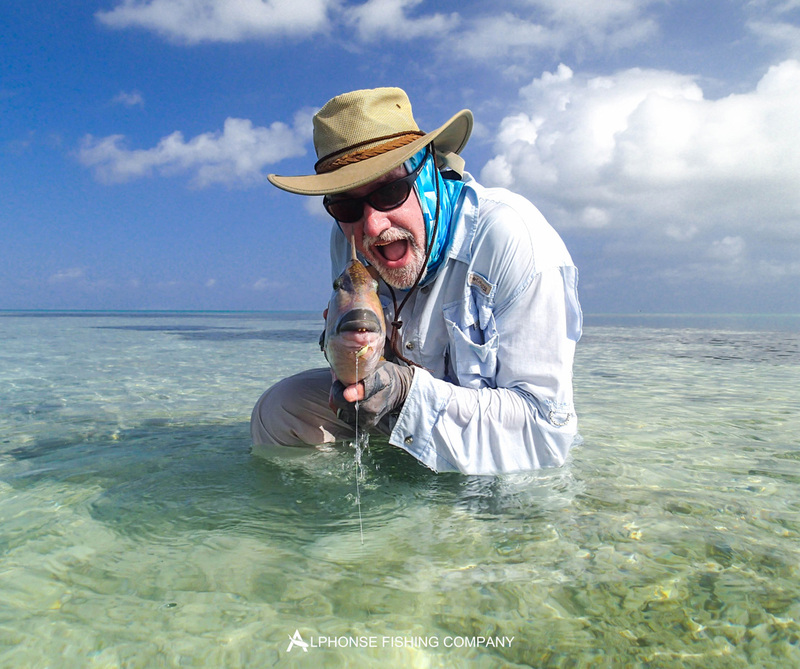 He also managed to add to the triggerfish count by landing a beautiful Moustache trigger. His partner in crime Vaidas wasn’t far behind as he jumped his first ever Sailfish on fly and managed to wrap his hands around its bill. 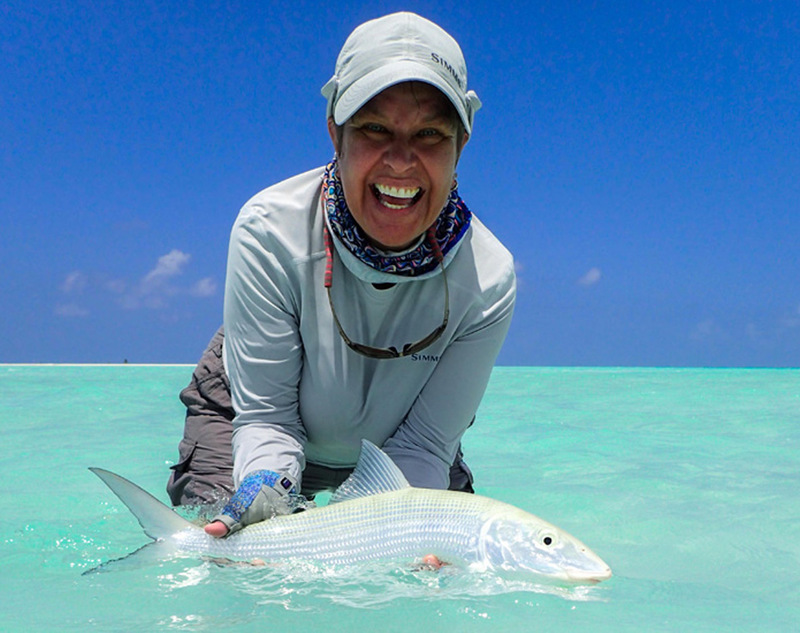 Vaidas then followed up with a gorgeous big Milkfish. Martin Allday was the trigger fishing champion of the week by a long way. After landing his first Yellow-margin earlier in the week he went on to finish the week off with the first ‘Trigger slam’ of the season. A Moustache, Yellow-margin and a Picasso all in one day. Pretty special and not an easy task. Our second Permit of the week was landed by Alan Cowley. He also joined our triggerfish club with a fantastic Moustache triggerfish. 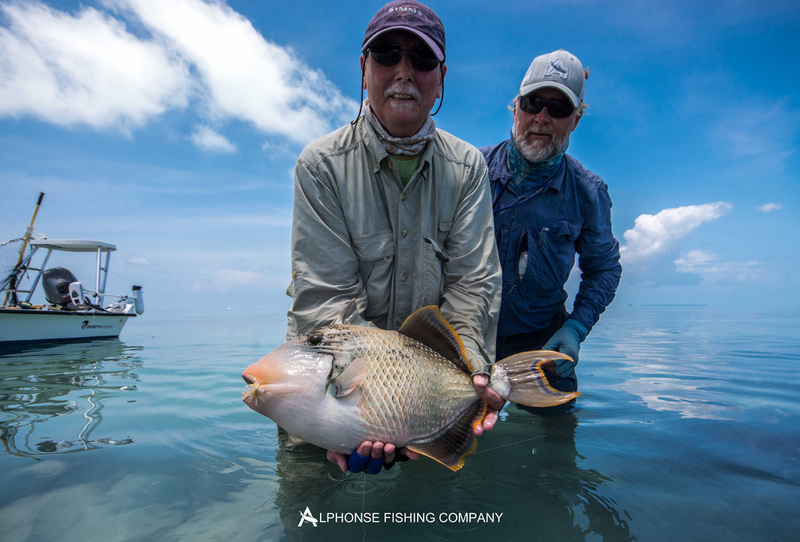 Long-time university friends and first timers to Alphonse Christopher Chamberlains and James Nicholson both managed a fish of a lifetime with Christopher earning his triggerfish badge with an awesome Yellow-margin and James being one of our new elite Milkfish club members. The fishing this week was spectacular. Fantastic water, cold and slow moving. Absolutely perfect for spending time on the flats and getting the job done. A big thank you to all our guests this week.